Last and final day on the 2016 Festive Calendar at All British Casino. 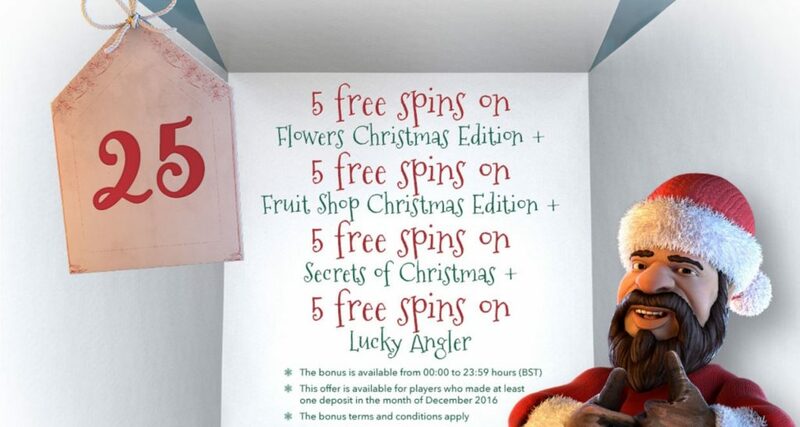 Enjoy it in style if you have made a deposit in December with an awesome 4x 5 Free Spins on Flowers Christmas Edition, Fruit Shop Christmas Edition, Lucky Angler and Secrets of Christmas. We hope you enjoyed the special offers and rewards that the team at ABC prepared for your and wish you continued jolly good times.